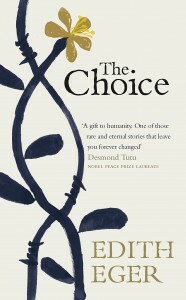 This was a beautiful and thoughtful memoir by Dr. Edith Eger. The first half of the book tells the story of her childhood and then horrific experiences at Auschwitz and struggle to physical recovery after liberation. The second half of the book examines her life after the war and how she mentally and emotionally dealt with her experiences. Dr. Eger gives us a glimpse into her thoughts and feelings and she does it in a way that is positive and helpful. I think anyone that has struggled with any serious thing in their lives could benefit from reading this book. She never pretends she has all the answers or that there is a cure to tragedy, but she explains methods of how she and others have tried to use their emotions in a way that leads to healing. Cannot recommend this book enough.